GREAT NEWS — Our family (minus Kristyn who will be at college) will be attending The Center for Courageous Kids in Scottsville, Kentucky for SMA/MD Family Weekend August 28-30th. This will be our FOURTH year attending and we are extremely excited since it’s the best family weekends EVER since Ally was diagnosed. 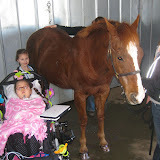 We also get to interact with lots of other families dealing with Spinal Muscular Atrophy or another Muscular Dystrophy. In addition, this year, one of our previous home nurses who moved to Kansas, Tina, will be meeting us there as a volunteer nurse for Ally. Her boyfriend, Mark, will also be a volunteer. This is super cool and kind of them!!! We are also hoping Grandma Carol will attend with us again too, but not sure yet. 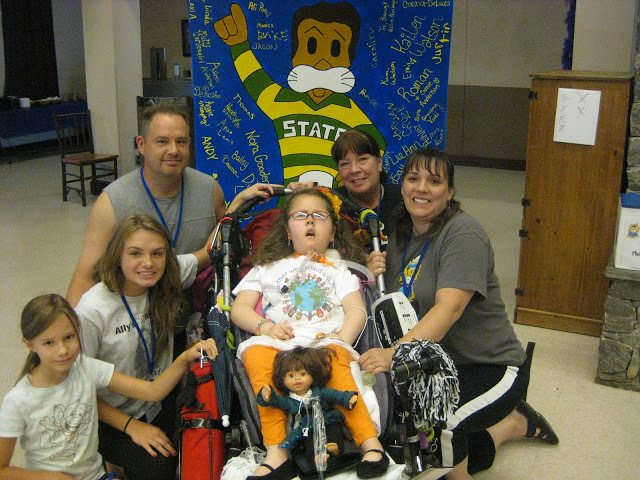 The MDA (Muscular Dystrophy Association) has agreed to donate $800 to CCK since Ally is unable to safely attend a camp without a parent in IL. 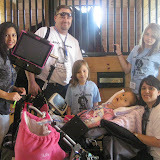 This took some advocating, but it is the second time MDA has agreed to put Ally’s camp $ toward CCK and we are VERY HAPPY!!! Now, we are just responsible for traveling expenses and maybe gathering a few more donations for CCK (monetary and/or items). 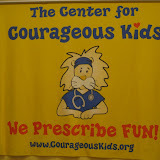 IF YOU’D LIKE TO MAKE A DONATION FOR TRAVELING EXPENSES or to CCK CAMP in Scottsville, KY, please let me know. Thanks in advance to anyone who is interested in helping and those who have helped in the past!!! See the links to picture albums of previous years at camp. Ally and her sisters get to go horseback riding, swimming, fishing, bowling, do arts and crafts, create things in woodshop and soooooo much more!!!! I can’t wait to share new pictures and videos from this year!!! !